All audio lessons are fully created and owned by the author of Learn Hmong Lessons & Traditions. No part of the audio lessons may be used for any commercial or other purposes without the consent of its respectful owner. The audio lessons may be share with others to encourage people to learn and study the Hmong language. All Hmong video lessons are fully created and owned by the author of Learn Hmong Lessons & Traditions. No part of the video lessons may be used for any commercial or other purposes without the consent of its respectful owner. 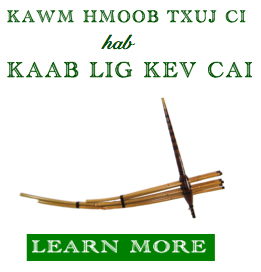 Only REGISTERED members will have access to the Hmong transcript lessons from Learn Hmong Lessons & Traditions. The video lessons may not be share with others in any condition. All Hmong Traditional Songs are fully created and owned by the owner of Learn Hmong Lessons & Traditions. No part of the Hmong Traditional Songs may be used for any commercial or other purposes without the consent of its respectful owner. The Hmong Traditional Songs may not be share with others in any condition. 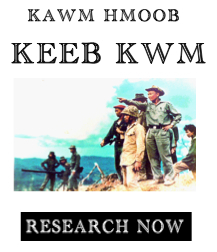 People who has access to the any or all of the Hmong Traditional Songs from Learn Hmong Lessons & Traditions should have already been a paid member of the website Learn Hmong Lessons & Traditions. Many if not all of the photos, videos, and links provided on this website are collections from the internet for educational and resources purpose only. The photos, videos, and links on this website are not own by the author of this website. Therefore, the owner of this website is not responsible for any misconducts or misused of the photos, videos, and links by any user from this website. If you are the owner of a particular photo, video, or link and you do not wish for the author of this website to display that photo, video, or link, please contact the author by clicking HERE. Any text contents or materials on this website that are not written by the owner of Learn Hmong Lessons & Traditions will be cited and be directed to the website that holds the text contents and material. The contents and materials are posted here for educational and resources purpose only. If you are the owner of a text content or material and you do not wish for the owner of this website to display that text content or material, please contact the owner by clicking HERE.